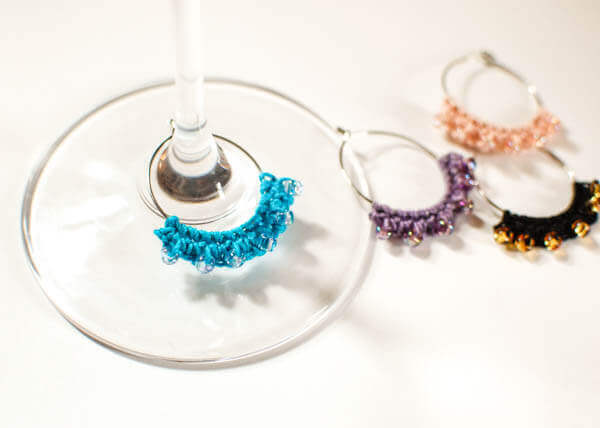 These pretty beaded crochet wine glass charms are so quick and easy. You can whip up a set in an afternoon and still have time to make a set for someone else. These make awesome hostess gifts … think bottle of wine and some charms! 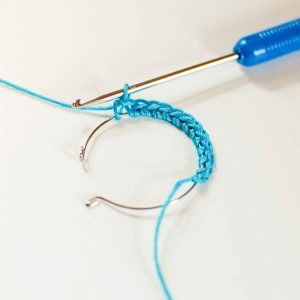 Beaded Single Crochet (bsc): Insert hook into specified stitch and draw up a loop, move bead up to rest next to hook, yarn over and pull through 2 loops on hook. The bead will show on the opposite side that you are working. Row 1: String 6 beads on your thread. 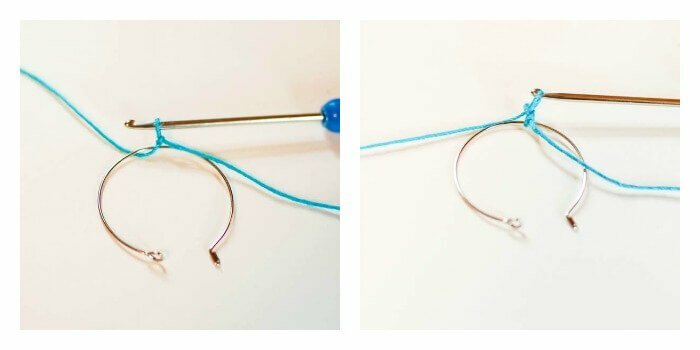 Make a slip knot on your hook and bring it through the ring to the front, yarn over and pull through the loop on your hook (1 single crochet done). Work 12 more single crochets on ring, turn — 13 sts. Row 2: Ch 1, 1 sc in first st, *1 beaded sc in next, 1 sc in next, repeat from * across — 13 sts, 6 beads. That’s it! So easy. Now pour yourself a glass of vino and enjoy! Super cute! i have earrings kind of like this and I love them!! 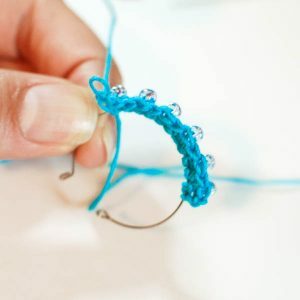 Do you put the beads on the thread before you start and just move them up as you need them? Awesome idea Kara. This is why is love pinning your posts at pinterest! Lovely!